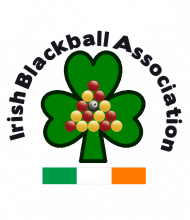 IBA presents Irish Blackball Championships featuring 5 man InterCounty Team event plus Singles Championship. Open to all who live in the 4 corners of our island, North, South, East and West. Learning Disabilities: €150 per 3 Person Team. €50 per player extra. All entries/fees being handled by treasurer Mary Morris. *Contact Mary Morris for Bank Details to make payment. Teams are only confirmed as entered when Mary receives full payment for teams. Men's and Seniors will both be best of 25 frame matches including the group round robin stage before the knockout stage. All other sections will be best of 15 frame matches including the group round robin stage before the knockout stage. There will also be a plate for Teams who are knocked out at the Group stages. Men and Seniors will be 5 a side teams with up to 7 players allowed per team panel. In all of the other categories the teams will be 3 a side with up to 5 players allowed per team panel. *All teams will be designated a Colour if more than one team represents a county. Entry fee for the singles events is €20 for all players. Any person not living in Ireland, but of Irish descent, ie: through parents/grandparents, can play for the county they are from. All Nationalities welcome as long as they meet criteria above. All team members must adhere to the dress code in place namely Matching polo or dress shirts (with collar) bearing their county badge and trousers.Additional sponsorship logo also allowed. *Failure to meet these criteria will mean refusal to compete. 4. Final Group standings are determined by match points, then frame count, then head to head if teams have the same number of points and frames won.